Sever in simple terms is ‘to cut free’. 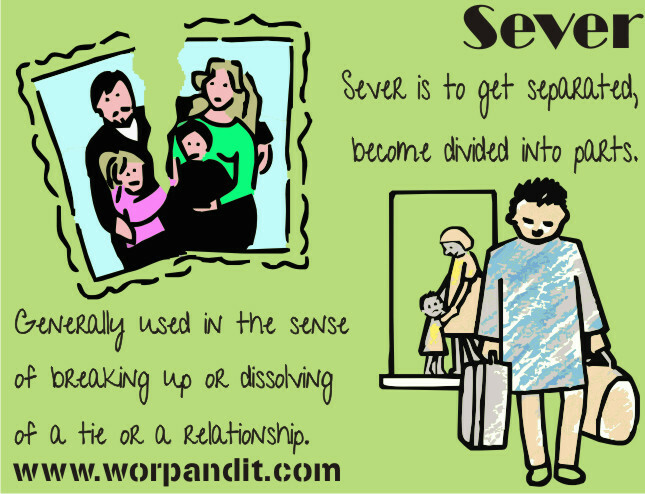 Sever is used to depict any situation where one needs to show something that is being cut off or divided into parts. Like in the image above, severed ties between family members are shown. And in the image, a severed chain is depicted. These two words are almost the same. Almost: the only difference is of a single letter ‘e’. But their meanings vary vastly. We have seen the meaning of the word sever above. Now lets us have a look at severe. 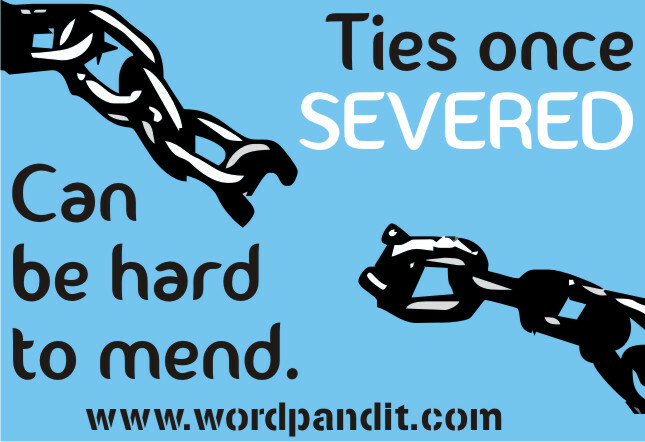 Severe is an adjective and means ‘Intensely or extremely bad or unpleasant in degree or quality’.